In June 2018, Lt. 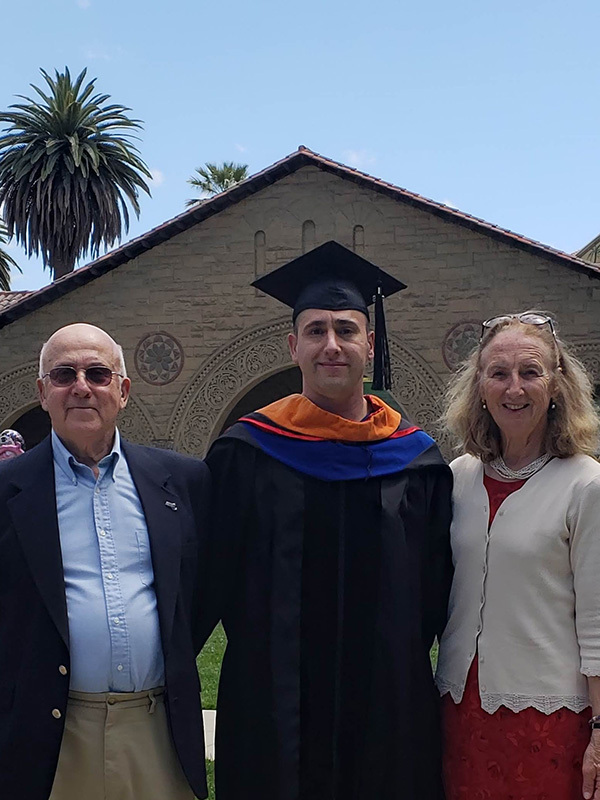 Commander Alexander Baynes of the U.S. Navy was awarded the degree of doctor of philosophy in applied physics from the Naval Postgraduate School in Monterey, Calif. He was presented on Awards Night with the Naval Sea Systems Command Award for Excellence In Combat Systems. Dr. Baynes also earned a master of science in management science and engineering from Stanford University. He is a published author, and his research expertise concerns the field of underwater acoustics. Lt. Commander Baynes is currently assigned to the Undersea Systems Program Office at the Washington Navy Yard. His previous assignments included Norfolk Naval Shipyard, USS Alaska (SSBN-732), supervisor of shipbuilding in Groton, Conn., and Ship Repair Facility and Japan Regional Maintenance Center in Yokosuka, Japan. Dr. Baynes is a 2000 graduate of Martha’s Vineyard Regional High School, and a 2004 graduate of Cornell University with a bachelor of science in engineering physics. He additionally holds master of science degrees in both physics and applied mathematics from the Naval Postgraduate School from a previous assignment. Dr. Baynes is the son of Leslie and Judith Baynes of Edgartown, and the brother of Amy Baynes, who lives and works in Dubai, U.A.E.